Circle Invest isn’t just the best way to buy crypto, it’s the best way to learn about it. The "Explore" section of our app features approachable, informative content to help you develop your understanding of the world of blockchain. For each article, I’ve created a unique editorial illustration. In addition to my usual product design and illustration duties at Circle, I have a fun little side project: creating custom wallpapers for my colleagues' phones. Each illustration features a few of our unofficial mascots, a crew of adorable crustaceans. What started as a monthly project has since become quarterly, as I kept getting more and more ambitious. So much for a "side project!" In early 2017, I collaborated with my colleagues on Circle's brand team to create a short video about Circle Pay’s cross-border capabilities. Holly led on copy, Kristine art directed, and I created the visuals using Keynote as a motion graphics editor. Circle's Boston team moved into a new office in the summer of 2017. I was excited to produce a mural for our cafe, bringing the spirit of Circle Pay to the central point of our office. Brooke & Michael Webb built itsgr82bme.com (“it’s great to be me”) to be the central home for family-friendly activities, connecting families and small businesses across the country. They came to me to enhance their investor pitch deck with illustrations, helping to visualize their story and take itsgr82bme to a brighter future. After nearly ten years of working in the fast paced, ephemeral realm of online experiences, we at Fresh Tilled Soil decided to stop, think, and get some ink on our hands. The result was Fold, the company's first-ever print publication. In addition to design and editorial contributions, I illustrated nine portraits for a feature story on leadership in the digital design industry. The newest inn on the property, the Gate House was constructed in 2013. This historic home features an art gallery on the main floor. This building, erected in the late 19th century, was originally the Old Quaker Meeting House. The collection's namesake and oldest structure, the historic Roberts House was built in 1846. The Roberts Collection is a set of inns set in the heart of beautiful, historic Nantucket. 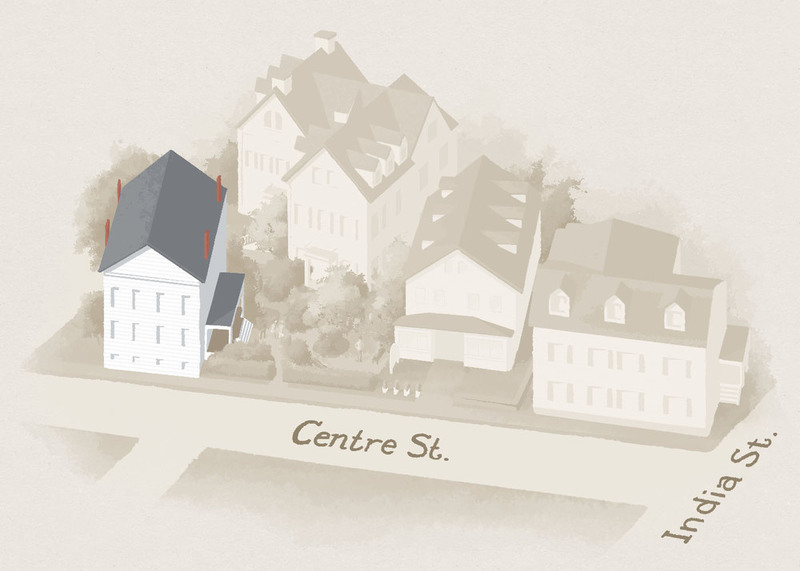 When Fresh Tilled Soil created a new website for the inns in 2013, I created an illustrated map to represent the once disparate buildings as a cohesive group. The Gate House, as well as the courtyard before it, was under construction during our engagement, and was thus rendered from blueprints and in-progress snapshots. In addition to the full color map, I produced four additional images (each highlighting a single building) for the inns' individual information pages.